Evergreen shrub with single, pale pink flowers during autumn and early winter, about 7 cm across with golden yellow stamens. Originated in New Zealand as a hybrid with Camellia pitardii as one of the parents. Prefers partial shade, but tolerates shade and copes with full sun. Likes well-drained, slightly acidic soil. Prune after flowering. One of the earliest camellias to flower. Vigorous, upright Sasanqua camellia, flowering from autumn to mid winter with double, white flowers. Some flowers show a faint hint of pink on the outer petals. Glossy, dark green foliage. Camellia 'Early Pearly' prefers a partially shaded position in well-draining, acidic soil. Tolerates full sun. Feed with an acid fertiliser after flowering and again during the growing season. Prune hedges after flowering. Gorgeous white camellia, ideal for espalier or hedging purposes. The photo of the hedge was taken in a relatively windy area; the plants seem to cope well with more than average wind exposure. Evergreen shrub with upright growth habit. Clusters of dark pink to red flower buds open to lightly fragrant white flowers, flushed with pink, fading to white, 5 cm across. Golden yellow anthers with creamy filaments. Flowers fall before browning. Very long flowering season from late autumn to early spring. Glossy dark green leaves, 3 cm long, 2 cm wide. Originated in New Zealand as a chance seedling of hybrid origin with Camellia lutchuensis as one of the parents. Prefers acidic soil conditions and a sheltered position in semi shade, but tolerates full sun. Responds well to pruning after flowering. Evergreen shrub with strong upright habit, flowering during autumn and late winter.Toothed, dark green leaves. Flower petals are white with a pink border and golden yellow stamens. Originated in New Zealand. Camellia sasanqua is one of the parents. Responds well to pruning and makes a great hedge. Prefers acidic soil and partial shade but will tolerate full sun. Hardy to - 12oC. Evergreen, compact upright shrub with 8 x 4 cm leaves and 11 cm wide flowers, double, pale pink with darker pink stripes and golden stamens. Flowers during autumn and early winter. Originated in Australia as a hybrid of Camellia pitardii var. pitardii. Responds to pruning after flowering. Prefers a position in partial shade, but tolerates full sun. Likes well-drained, slightly acidic soil. Also known as 'Hiryu'. Recorded as Camellia hiemalis 'Kanjiro' in the International Camellia register, but listed elsewhere as a cultivar of Camellia sasanqua. 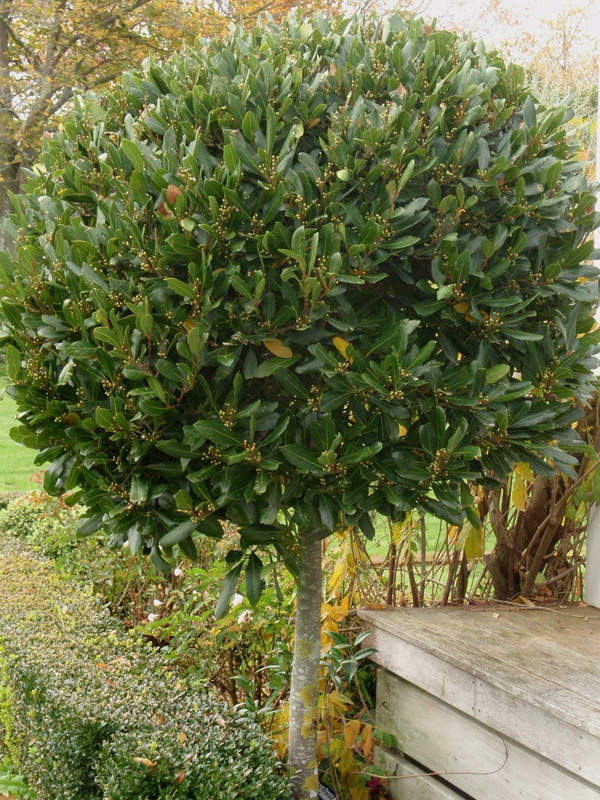 Vigorous evergreen shrub with glossy dark green, toothed leaves. Very free-flowering in late autumn and early winter with slightly fragrant single to semi-double flowers, about 8 cm across, cerise pink to rosy red, paler towards center of the petals, gold stamens. Responds to pruning after flowering. Likes well-drained, slightly acidic soil. Prefers partial shade, but tolerates full shade and copes with a position in full sun. Hardy to -18oC. Evergreen shrub with dense, erect growing habit. Glossy dark green, toothed leaves, 8.5 x 3.5 cm. Exquisite pale pink, semi-double, 11 cm wide flowers during winter and early spring. The golden anthers remain behind on the plant for a while after the flowers have turned brown and subsequently dropped. Originated in New Zealand as a hybrid of Camellia pitardii var. pitardii and Camellia japonica, first flowering in 1972. Prefers a sheltered position in partial shade and well-drained acidic soil. Tolerates sun or shade. Does well in dappled shade under large trees, but is shallow-rooting (like other camellias) so may need watering during dry periods of the year in particular when growing in such positions. No pruning required or just a light prune after flowering. Great for flower display, as a medium-sized hedge, and as a dark green background for plants that flower during other times of the year. Evergreen, free-flowering shrub with average growth rate. Mid green, toothed leaves, 9 cm long, 5 cm wide. Dark pink flower buds open during winter to reveal beautiful, fluffy, pink, peony-form flowers with golden anthers and more than 20 petals, 13 cm across. Originated as a seedling of Camellia pitardii, raised by Neville Haydon in Papakura, New Zealand, first flowering in 1985. Prefers a position in acidic soil and partial shade. The Camellia 'Nonie Haydon' in the photo was flowering and growing happily in a sheltered, fully shaded position. Perfect for flower display during mid to late winter, and suitable for hedging or background for plants flowering during other times of the year. Evergreen winter flowering shrub with dense upright growth habit. Dark green, toothed leaves, 4.5 cm long and 2.5 cm wide. Small red flowers with golden yellow stamens, 5-7 petals, 7.5 cm across. Originated as a chance seedling of Camellia 'Kanjiro' (Camellia 'Hiryu') at Nuccio's nurseries in Altadena, CA, USA, and flowered for the first time in 1959. Prefers a sheltered, partially shaded position in well-drained soil. Prune after flowering. Feed with acid fertiliser in spring. Looks great as a formal or informal hedge or as a dark green background for shrubs that flower at other times of the year. Can also be successfully espaliered or grown as a topiary shrub or container plant. Forms a striking combination with shrubs that produce winter berries, such as Ilex (holly) and Pyracantha (firethorn). Evergreen shrub with lax, flowing branches and glossy deep green leaves. Flowers in autumn and early winter with fragrant, pure white, semi-double flowers with prominent yellow stamens and somewhat ruffled edges. Flowers drop before browning. Can be trained as an espalier or grown as a hedge, standard, or single specimen. Suitable for a sheltered, semi-shady or sunny position, but avoid hot afternoon sun. If the position is too shady, fewer flowers will be produced. Frost hardy but flowers may be damaged by early frosts. Prefers acidic soil conditions. Evergreen shrub with an upright habit and dark green foliage. 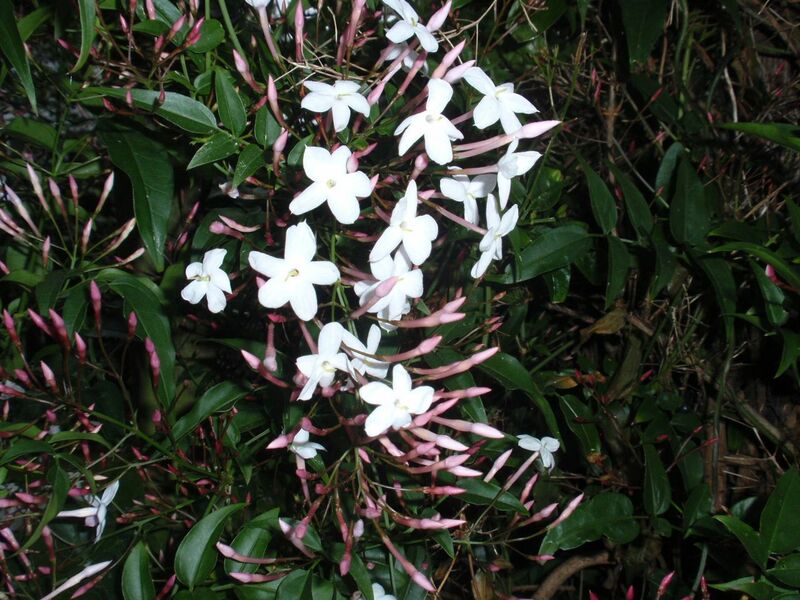 Simple, ovate, leathery, glossy, toothed leaves to 9 cm long and 5 cm wide. Large rosy red peony-form flowers, 10 cm across, during late winter. Les Jury hybrid. Originated in New Zealand as a seedling from a cross between Camellia saluensis and Camellia japonica 'Leviathan'. First flowered in 1959. Camellia x williamsii 'Anticipation' prefers a sheltered position in partial shade in any well-drained acidic or neutral soil. Tolerates shade and also copes with a position in full sun. Prune after flowering to maintain shape and compactness. Vigorous, wide-spreading evergreen shrub, developed from a plant originally collected at Yankee Point in Monterey County in California. Glossy dark green, oval leaves, 2.5-4 cm long, 1.5-3.5 cm wide. Particularly attractive in spring when masses of powdery blue flowers in panicles form a beautiful colour contrast with the young light green leaves and the dark green mature foliage. Prefers a sunny position in well-drained soil, but is also suitable for a partially shaded position. Not happy in wet or heavy soils, but 'Yankee Point' can handle such conditions better than most other Californian lilacs. Drought-tolerant once established. Copes well with poor, sandy soils. Suitable for coastal gardens. Tolerates medium frosts. Prune yearly to maintain compact and vigorous. Great for covering banks and slopes, especially in coastal areas. Can be trained as a hedge or grown as a container plant. Clump-forming perennial with violet to purplish blue flower heads and green to grey-green leaves. It spreads by rhizomes and can easily be divided. There is a white-flowering cultivar. The grass in the background of the photograph is Isolepis.